Meet Urusha Maher; an architect by day and an artist by night. I had this lovely opportunity to meet her at "The Platform for Artists - Art All Night" event held at the Wandering Artists, Chennai. It was super amazing to meet so many wonderful people. I decided to ask her about her online stationery business - the Paper Dolphin - after falling in love with her product photos which she uploads on her Instagram profile. (Trust me, they are just awesome!) Read Urusha's story! 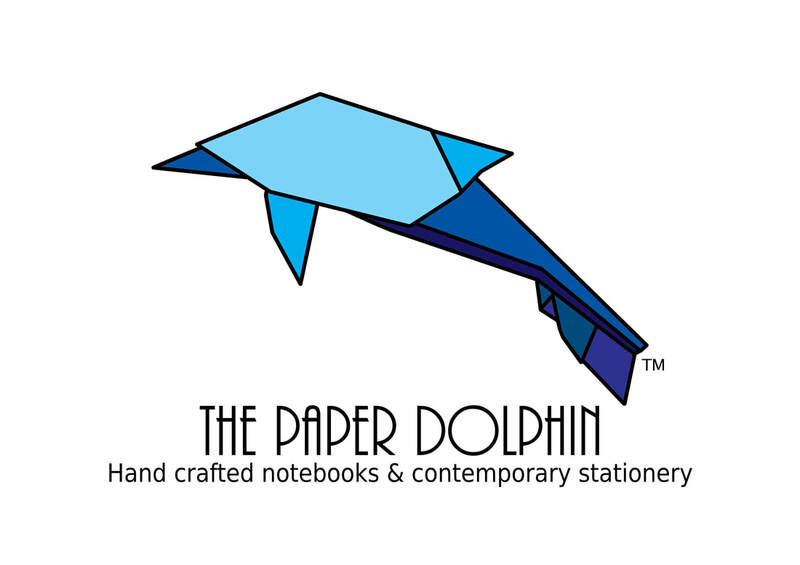 1) Can you tell us how you started the Paper Dolphin? The Paper Dolphin started off as a favor for my friend. She had an old pair of jeans, and asked me to make something with it. I made myself and her a notebook each. It had pockets where you could keep your phone, pens, etc. After we carried it around college, lots of people asked me where I got it from, and then I started taking orders. The material I use for the signature brown cover for my notebooks now, is made of recycled cardboard. I discovered this material when I was in my internship. 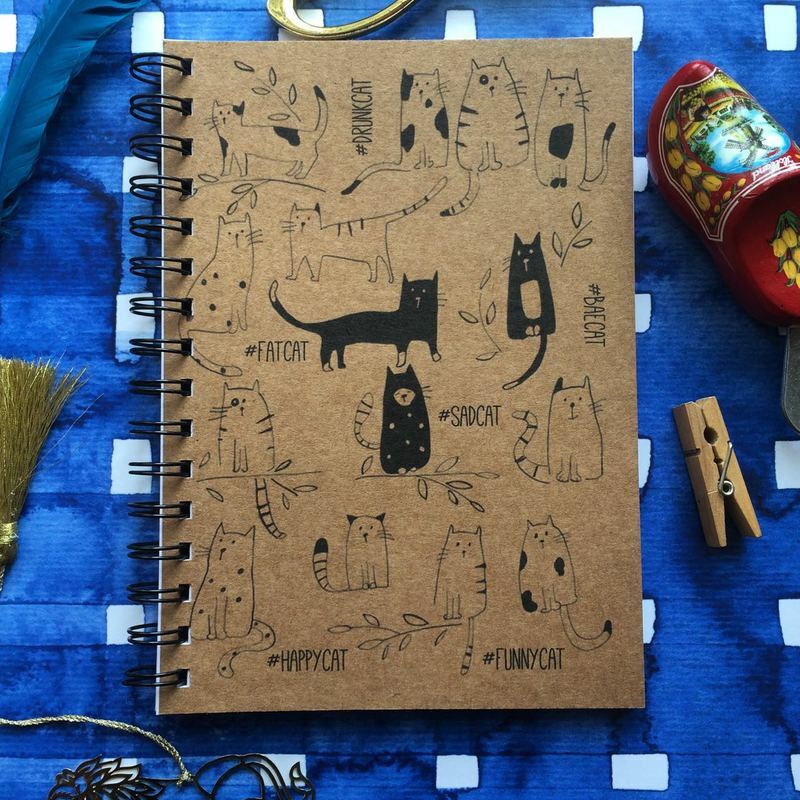 2) ‎Can you share us the creative process when making a handcrafted notebook? We make two kinds of hand crafted notebooks. One is the denim covered notebook, which involves acquiring of old jeans, getting the right sized books for them, and covering them strategically to fit the pockets. The other kind, involves conceptualizing and designing an illustration, printing the covers and getting it bound at the bindery. We design the covers based on pop-culture inspiration, client requests and quotes. We also do custom corporate orders. 3) ‎Which artist inspires you? Which artist's style influences your work ? My clients inspire me. Every one of them is an artist, some people can't just physically produce art, that's where I come in, to try to facilitate the medium. I'm developing my own style currently, experimenting with bold illustrations, more on the surreal side, with a pop-art influenced colour palette. 4) At the Platform for Artists (PFA), you where talking about an initiative where you encouraged people to write letters and post it to an address. Can you tell us how you got this idea? When my mother was going through her old letters while cleaning her cupboard, it just struck to me that I haven't written to anyone in years! Where has the culture of hand-written letters gone? In this time and age of saturated technology, it is rare to get mail on actual paper, which is not a BSNL bill. Keeping this as my inspiration, I've started an initiative to encourage people to write letters. The letters should be posted to one address, where the letters will be exchanged with each other and sent back, so you get a stranger's letter, and a stranger gets yours. It's an initiative to spread love, joy, art, culture and to build friendships across our country. 5) ‎Which part of crafting involves a lot of time and patience? The actual digital designing of the book covers and the physical task of denim covering are the two most time consuming parts of my craft. Some of Urusha's Products. They are so darn amazing!! 6) ‎Can you tell us about the future products you hope to sell? We're currently experimenting with fandom products, so we hope to see that soon in our page. Also, we're contemplating if we need to make our YouTube page active. 7) ‎Which is your best selling product? Our monthly subscription boxes for artists and writers are currently our best selling products. We basically have two stationery gift boxes that you subscribe to every month. The artist box is a box filled with art supplies, goodies and features of local artists; whereas the writers boxes is filled with writing supplies, writing prompts, goodies and featured writers. We alternate the boxes every month. 8) ‎To people who are very keen on getting involved with hand crafted arts, can you share them a few tips you have learnt so far? 1. "What's so different about your craft?" 2. "What is the purpose of this article?" 1. "Why is this so expensive?" 2. "I can make this myself, why should I pay you for this? ", etc..
9) How has your life been since the beginning of The Paper Dolphin?